Our team is comprised of experts that combine every creative discipline: digital solutions, design, branding, public relations, content creation, marketing, website creation and production. What sets us apart is our dedicated support and customized strategic approach. Choosing Wink is choosing a team of partners. Of course, we could give you a hundred reasons why you should choose us, but if we could only choose one, it would be this: we are artists with a DNA as creative as it is strategic. We have but one obsession: results. Does your brand need a boost? a helping hand? a makeover? some advice? a partner? a spokesperson? new ideas? You have no idea how much fun we have picking apart your brand, analyzing your market and your target market(s). Of course, this is also the surest way we know to ensure that the strategy fits with your business objectives! Having the best idea or product no longer gives you an edge. Not for long, anyway. Today’s consumer wants an experience; a strong emotional connection that connects him or her to your brand and to what you represent; that you fit into his worldview. To create this connection and earn your customer’s attention, your business needs to have a personality, a voice and a unique appearance. Communications = public relations. A well thought out PR strategy will do wonders to enhance your reputation. Whether you are looking to increase sales or to tell everyone about your charitable side – hey, how about both? – our experienced public relations team will turn your messages into media-worthy stories. Once you’ve poured your heart and soul into developing your product or service, you can count on our marketing and communications pros to help you get out there and start generating sales. Get noticed by your target market by using our proven creative approach, customized to your unique situation! Tired of Being the “Best-Kept Secret in Town”? For most consumers, the FIRST thing to do when looking for information is a Web search. It’s our job to make sure that when they search, they find you. Whether it be with a bleeding-edge website or with smart social media management, we make sure that you are everywhere your target market is. Soon enough, your logo will be here as well! 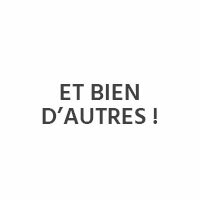 Une erreur s'est produite, merci de réessayer plus tard. Do you think we could get along? Call us, email us or visit us! Discover our news as well as our opinion about the latest trends in marketing, design, social networks and growth hacking. On last June 16, Wink Strategies got the opportunity to be part of the meet-up organized by its partner MTL+ecommerce, which took place at Fabrik8’s premises. The program for the night : A Design Sprint for eCommerce and questions on user experience (UX) reliability. 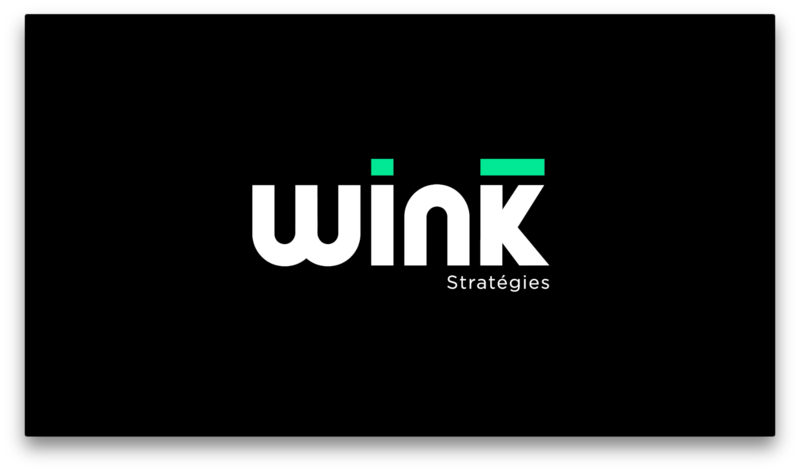 Since Wink Strategies encourages knowledge sharing, here are a few important points to remember from the conference! A Design Sprint is, as its name suggests, an accelerated version of the creative process in web design. This working method was developed by Google Ventures UX experts and consists in solving within 5 days complex web design problems, such as the user experience optimization (UX) and the user interface (UI). Google has always created new revolutions. His latest update : the “Purchase” button on its shopping pages. What is it for ? How and when will it be introduced? What will be the major improvement for users and companies ? And of course, how can we get ready for this ? Wink will provide any useful information you may be looking for. It has been a week, users can directly buy featured items in their search results. The global company introduced the new button on July 15, with the motto “Make the world your storefront”. No need to go on a merchant site, the search engine takes care of any transactions for you. 4 YEARS OF GOOGLE+: IS IT ALREADY OVER? Google+, the so “not-beloved” of community managers, the black sheep of the web, is now 4 years old this week. How is it getting on today: an important tool in our communication strategies or a waste of time ? Launched in 2011, Google+ continues to be a topical issue because of his low popularity and usefulness often questioned. Indeed, Google+ has significantly less subscribers than its main competitor : in 2015, only 300 million monthly users went on this platform compared to 1.44 billion users on Facebook. However, the network continues to play a big role in many marketing strategies. So as to demystify this network and have a better understanding of his role, we take the time to look back and talk about what has caused all this. We will keep it up next week with an analyze of its best used strategies and best practices for both small and large companies. BEGINNING OF MAY WAS THE THEATRE OF AN INTERNATIONAL EVENT IN WICH WE PROUDLY CONTRIBUTE. HELD IN MONTREAL, THE FIRST EDITION OF ”COMING TO YOUR SCREENS” OR CTYS, WAS AN OPPORTUNITY FOR CONTENT CREATION PROFESSIONALS TO EXCHANGE WITH THE ULTIMATE REFERENCES IN THAT DOMAIN. ONE CONFERENCE AFTER THE OTHER, HE APPEARS IMPORTANT TO US TO COME BACK ON ONE OF THE MOST EVOCATED THEME : TRANSMEDIA. You are familiar with the term? If not, don’t think it’s just another fancy technologic word coming from the audio-visual world. Transmedia is gradually seen as an essential component of strategy communication for company of all sizes. What is transmedia? How does it work? See for yourself. THIS WEEKEND, SOME PEOPLE WENT OUT WITH FAMILY OR FRIENDS, OTHERS JUST STAY WARMLY AT HOME. FOR US, WE RECEIVED A LAST MINUTE INVITATION TO A BRAND NEW KIND OF EVENT. THE MONTREAL #FAILCAMP. No it is not a fail contest, although it would be a good event idea … No, indeed, even if the event is held under the humorous tone, the meeting was intended for primarily instructive reasons. This is about de-dramatizing failures mentioned by different stakeholders to learn real lessons from it. LET’S USE YOUR IMAGINATION HERE. READY? IMAGINE YOU ARE A COMPANY IN THE INDUSTRY OF YOUR CHOICE AND THAT YOU HAVE BETWEEN 6 AND 15 SECONDS TO GET THEIR ATTENTION. DIFFICULT? YOU BET? IMPOSSIBLE? DEFINITELY NOT! You already know that content quality is crucial to any company wishing to establish its commitment to the product on the Internet. However, the evolution of the market of information technology has given rise to new communication media, such as computer graphics, or video. All this helped to push the boundaries of creativity when planning publications. In this post, we will look at two new tools that have experienced the fastest growth in 2013, namely Vine and Instagram Video, kings of (very) short-time videos. THE END OF THE SOCIAL MEDIA EXPERT? After a list of jobs that did not exist ten years ago, the study of Workopolis focused on those who will disappear in the next decade. Among the occupations expected to decline that are mentioned, some are certainly not surprising (as clerk at the video store or dispatcher for taxis), but the mention of social media experts raised more than one eyebrows. According to the study, the arrival on the labor market of generations who grew up in an environment where social networks are ubiquitous, make expert in social media obsolete. REAL TRENDS BUT INCORRECT CONCLUSIONS? HOW SOCIAL MEDIAS CAN BE YOUR BEST ALLIES IN THE ORGANIZATION OF AN EVENT? AND HOW MAKING GOOD USE OF THEM IN EVERY STAGE OF YOUR EVENT? Conferences, seminars, festivals, exhibition and salons; the event industry, dynamic by nature, can not do without an effective tool such as social media. Beyond simply relaying a date and time on Facebook, social media become an extension of the event, an asset for promotion, even the event itself. Like all others aspect of marketing, the event industry goes digital. For the event organizer, the primary objective of investing in social media is to increase the brand recognition and therefore the scope of the event. Moreover, the possibility to apply a targeted strategy to relevant customer makes the transaction more attractive! The close contact that now allow social networks has created a desire for people to be close to the brands they consume and interact with them. At first, it allows companies to engage in dialogue and providing the opportunity to develop a special and personal relationship with their customers. This opportunity, particularly with Facebook, is an excellent alternative to traditional market research. Inexpensive, it allows you to collect valuable information on consumer habits, or at least, to identify opportunities to improve products and services of an organization. Thus, it is good to use the comfort of people on Facebook to ask them what they think. This can give a good guideline as to which route to take to increase your success! Also, the access to the demographic profile of customers through the intermediary of their Facebook page can be used to target potential customers!